Many smart locks require WiFi, or at least some form of internet connectivity, to function. How else would you be able to grant access to your guests remotely? 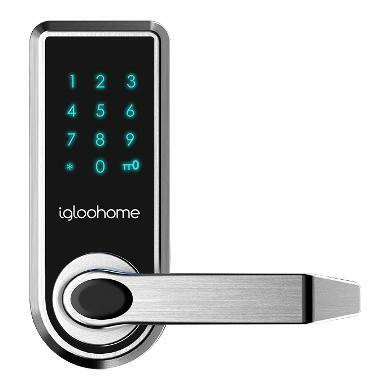 But, Singapore-based startup Igloohome has created a smart digital lock that has remote PIN code-creation capabilities that do not rely on an Internet connection. How does it work? As this blog post explains, there is a ‘formula’ that has been programmed in both the Igloohome smart lock and the app (similar to that of a bank system and security token) so that they can understand each other without being connected. As the lock does not require Internet, it is suitable for deployment in many parts of Southeast Asia where Internet may not be the most stable. It can also be installed in basements, beaches and mountains. Another standout feature of the Igloohome smart lock is that it offers integration with Airbnb. When the host receives a confirmed reservation, Igloohome automatically generates a code and sends it to the guest, who will use it to gain access to the property. Of course, for those who are looking for additional control such as the revoking of access remotely and other features that require real-time connectivity to the lock, the Igloohome smart lock also accepts another mode of access – Bluetooth keys. This means that guests can use their smartphones to enter a property, and since their smartphones are connected online, homeowners can choose to disable a Bluetooth key at any point of time should they wish to. To add on to the growing list of features of the smart lock, home or property owners can soon view access logs on the Igloohome mobile app to see who entered their properties at exactly what time and on which date. This can be useful in numerous ways – for the healthcare industry to track what time an elderly enters the home; for dormitory management to monitor attendance; or even for parents to be notified when their children arrive home from school. The Igloohome team have set their sights even further. They intend to strengthen partnerships with cleaning and delivery services, so that eventually, one-time or time-based virtual keys can be sent to cleaners and delivery men to enter homes and carry out their duties even when home owners are away. This means no more fuss over re-delivery of parcels, or having to stay home to open the door for the cleaner. Igloohome access solutions have already been deployed in the US, Australia and Thailand to great customer reviews. They launched the smart lock in Singapore in March 2016, and it is currently selling at a huge discount at S$189 (US$147) because of the Great Singapore Sale. Installation is optional at S$99 (US$73), and Airbnb integration at S$9.90 (US$7) a month (currently on a free trial for the time being). Igloohome sees their smart lock as a homeowner’s entry point into a smart home. Besides the technology, its low price point may makes the lock much more accessible compared to other competitors. While currently, the Igloohome smart lock is compatible with most wooden doors, the team is already looking into a version that is suitable for metal gates, due to popular request from customers. Igloohome has raised US$125 million in seed funding led by Wavemaker Partners with participation from Singtel Innov8, and DreamIt Ventures. The post This Singaporean startup has created a remote smart lock that works offline appeared first on e27.